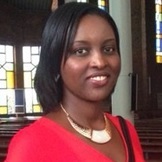 Chantal Marie Ingabire works as a senior researcher for Community Based Sociotherapy in Rwanda and a part-time lecturer at the University of Rwanda. She holds a master’s degree in Medical Anthropology from the University of Amsterdam and a PhD in Public Health from Maastricht University, the Netherlands. She has done extensive and diverse health research and currently interested in exploring the interlinkage between mental health, psychosocial support, and peacebuilding processes in post-genocide Rwanda with a particular emphasis on youth. She is coordinating research that explores the dynamism of intergenerational transmission of trauma and violence among youth, an innovative research that will generate evidence needed for policy and practice. Dr. Ingabire has also been engaged in consultancy work with various organizations such as the World Bank, GIZ, Knowledge Translation Network (KTNet) Africa, and the Wageningen Centre for Development Innovation (CDI). Dr. Ingabire is also a member of the editorial board of the Rwanda Medical Journal.